You are here: Home / Blog / 21 Warnings That Indicate It’s Time to (Switch) Your Web Hosting Right Away! 21 Warnings That Indicate It’s Time to (Switch) Your Web Hosting Right Away! Hey There, did you check out my previous blog posts on HostGator Vs GoDaddy and HostGator Vs Bluehost? No? Well, check it out now to learn which is the best web hosting company in India. For now, here is a list of warning signs that indicate it’s time to switch your web hosting provider. Take a look! As a foundation of your online business venture, web hosting plays one of the most important roles in the success of your online business. However, with the list of tasks involved in setting up a blog or a website, more often than not, selecting a good web host often takes a back seat. Despite your best intention, you might end up making the huge mistake of selecting a bad web host and thus, the below-mentioned 21 warning signs will help you in rectifying these mistakes. These signs are a clear indication that you have selected a bad web hosting and that you need to find a reliable hosting company right away, one that will ensure that your website is safe from hazards. A simple fact, every minute that your website is down you are losing out on the money. Too much downtime affects your site’s traffic, credibility and ranking, which impacts your site’s sales & conversion rate. Hence, if your website is experiencing more than 1% downtime or frequent unplanned downtime, then it’s a clear sign that you need to switch your host & find a reliable web hosting provider that guarantees you an uptime of 99%. Bandwidth or data transfer is the amount of data downloaded from the web server over the subscribed period of time. Now, while almost all hosting companies offer “unlimited bandwidth,” they do have some sort of “fair usage policy” that could limit your use. Limited Bandwidth allocation can affect the productivity of your website and can lead to your site going down affecting your SEO, PAID and Social campaigns. Thus, it is important that you read the hosting company’s policy carefully to know your bandwidth limit and to know what additional bandwidth charges would incur if you exceeded your monthly quota, so as to avoid being over-charged. Too many clients on one server. Now, if the problem is due to increased traffic or an unoptimized site, then you need to upgrade your hosting package to a higher plan and use effective optimization tips respectively. However, if it is the latter that is causing a problem, then it is a clear indication of a bad web host. Having too many websites on a single server can result in frequent downtime and poor performance. Thus, if this is the case, then you need to look for an alternative hosting service provider. Having a user-friendly control panel is a must! A Control panel (cPanel) helps you manage your site’s operating system and provide access to various features with just a few clicks. Having an intuitive Web Host Panel will help you to not only manage your site effectively, but it will also ensure that you are not left at the mercy of the host providers technical support staff to make even basic changes on your site. While it is a common marketing ploy to offer a low introductory price for new customers and charge a high rate on account renewals, if you feel that the renewal cost is way too much for the service you are using, then it may be time for a new web host. An honest web hosting company will always list out its renewal fees. Therefore, it is important that you read the terms & conditions thoroughly before you sign up with a web host or else you might end up paying exorbitant fees on renewals. All hosting customers are allotted a specific amount of hard disk space on the server by their hosting provider. The amount of disk or storage space that you need greatly depends on the type of website you are running and as your business grows, you are going to need more database storage space. However, if for some reason your hosting provider is unable to meet your storage needs or have limited server facilities, then you need to search for a new company if you don’t want to hamper the productivity of your website. While upgrading your hosting plan from one tier to another is important as your business grows, charging you an exorbitant price to upgrade is simply not done. A good web host will always accommodate its customers and will aid them in expanding their business. Thus, if your web host company is charging you a high amount, for the same service & features, albeit with a bit more space and bandwidth, then it’s best to look out for another web host. Since having new and cutting-edge technology is important for the functionality and stability of your website, inability of the hosting provider to provide what their customers need is a sign of a bad web host. The best web hosting company will always be able to provide its customers with the latest update on software to help them effectively run their business. Hence, if your hosting provider is unable to provide you with new software that you need to run your website, then it’s time you look elsewhere. Having robust security features on your website should be your top priority. If you are hosting provider doesn’t offer you features such as anti-virus software, firewall protection, anti-malware applications etc, then moving to another host is imperative, if you don’t want to risk losing important data or getting hacked on the Internet. The quality of a web host is marked by the service it is able to provide its customers. If you have to explain every small issue to the technical staff and even then they don’t understand the reason why your site is experiencing a problem or don’t know how to fix it, then it is a clear indication of a poor and unknowledgeable technical team and it’s time to look for something better. A good web hosting company provides 24/7/365 support via phone, email, and chat. Since there is no telling when there may be an outage or when you might need immediate tech support to fix up glitches, having a great support that responds back quickly and answers all your queries is important. However, if you have been let down by poor customer support, then it’s time you move on and find another web host. A web hosting company should always be transparent about what they are charging you for. If you notice additional charges to your billing statement, that you are unaware of, contact your host provider immediately. Charging you additional fees without any prior notice is a sign of a bad web host and if the company is unable to provide you with a valid reason as to what these extra charges are for, then it makes sense to discontinue their service, as this might happen over and over again. Backups are important in the event your site crashes or gets hacked. If your web host doesn’t offer regular site backups or even weekly backups, then you need to search for a new web host company, as incidents happen and without proper backup, your business might suffer a huge loss. Additionally, it is important that you have an automated backup process of your own and not depend entirely on the web host provider for securing your data. You could install WordPress plugins such as BackUpWordPress or BackupBuddy that helps you to take a backup of your entire website including database and files. Short for Secure Sockets Layer, an SSL certificate helps prevent hackers from spying on sensitive data, such as user information, credit card details, etc., ensuring all information that is passed between your site server and your visitor’s browser is safe. Moreover, moving from HTTP to HTTPS is good for SEO, as it signals to Google that you are a secure site, which helps boost your site’s ranking. 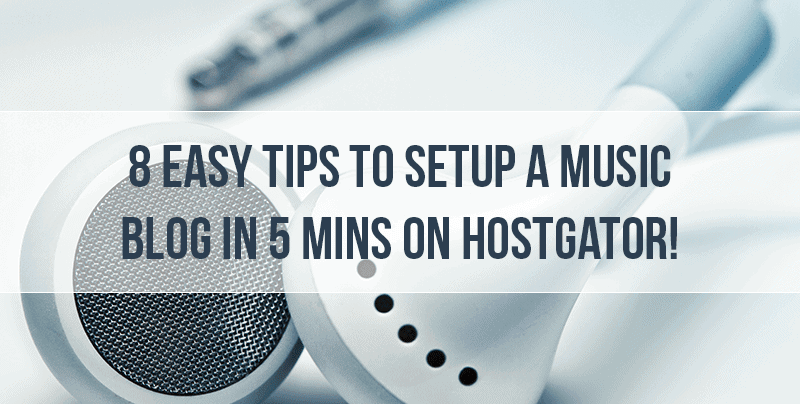 Therefore, if your hosting provider doesn’t offer this essential feature, then it’s best to move your site to another host. Be it installing a new software or downloading a web application, you require databases in order to function. Restriction on MySQL database limits your ability to integrate new technology on your website and prevents you from testing the same, thereby hampering the growth of your business. Thus, if you are facing this issue then it’s best to consider another web host, one that offers you a sufficient number of MySQL databases. Access to new features on Shared Hosting will largely depend on the type of package you have purchased. However, if you are paying top money and still have limited access to important features such as email, PHP scripts etc, or don’t have access to some of the services you want to use, then you need to seek out a new company, one that will suit your business needs and requirements. While they are treated as a nuisance, Email Spam can be a security threat to your website. If your hosting provider doesn’t provide adequate anti-spam tools such as SpamAssassin or uses an effective technology that prevents hackers from phishing or embedding malicious software in your system, then it may be time for a change. Server maintenance and monitoring involves updating server software, examining security features, assessing hard disk space etc, so as to ensure smooth functioning of a computer network. Lack of regular server maintenance and monitoring can turn a simple server failure into a server disaster. Thus, if your web host doesn’t provide regular server maintenance, then it’s a red flag to move on. Another vital feature, add-on domains are separate domain names that you can operate under a single control panel, without having to pay additional monthly fees for hosting multiple web accounts. For example, if you have two domains example.com and example1.com, you could operate both from the same control panel as your primary domain. Hence, if your hosting provider doesn’t provide you with the option to add multiple domains to your account, then it’s wise to discontinue their service. While most web hosting company allows you to run common PHP web applications, like WordPress, Drupal, Joomla etc, if you need to use any specific programming tools such as Ruby on Rails or Python, then you need to check with your hosting provider before purchasing a hosting package. However, if you have already purchased a web host and your hosting company is unable to provide you with the updated version of such tools or doesn’t allow you to integrate third-party tools & apps, then move out and look for a quality web host that offers you technology that suits your need. One of the basic hosting features, Auto Script Installer makes installation of various web applications such as WordPress, Drupal, and Joomla easy. It is a one-click solution that allows you to create a blog or a website, even if you have no code or HTML experience, and thus, if your hosting provider doesn’t offer you this service, then it’s time to switch your web host. Frequent monitoring of your hosting is crucial if you don’t want all your hard work to go to waste. Keeping a track of your site’s uptime, backups, software update, will help you to detect small signs before it causes you major trouble. Thus, if you have noticed any of the above-mentioned signs, then it’s a clear indication that you need to seek a new hosting service provider. 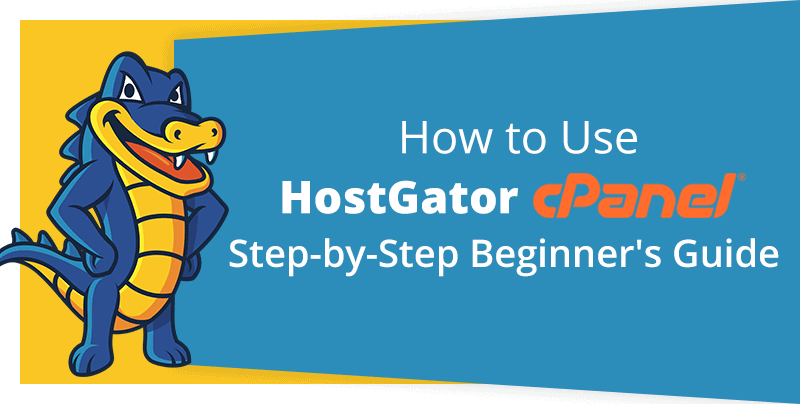 Also, if you are looking to change your web host, then read this HostGator review to know why you should choose HostGator web hosting solutions for your business. In addition, here is a list of HostGator discount coupons, to save money on your first purchase with HostGator. 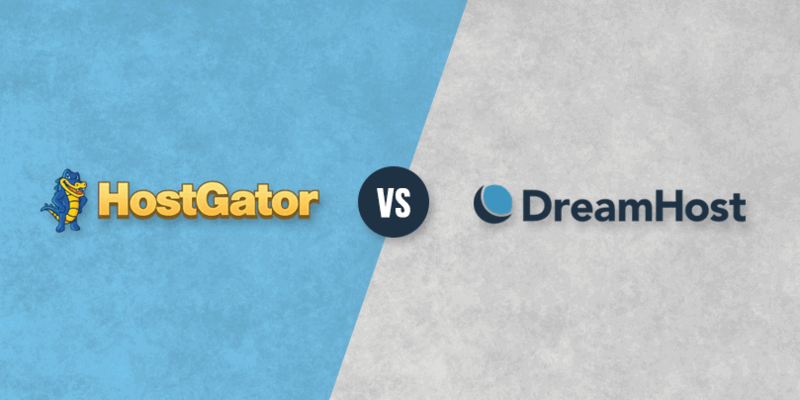 HostGator vs DreamHost – Which One Is Better?